Yesterday we mentioned the change to Emirates awards for Alaska Airlines Mileage Plan but we did mention their are other airline options. We mentioned Hainan as one example (for Canadians you can choose to fly Hainan from Calgary, Toronto or Seattle for those of you in the Vancouver/Victoria area) but did you know those redemptions only started on March 30th? We did a quick check on the YYC flights and you can get Economy or Business Class Mileage Plan award tickets on the inaugural flight out of YYC! Economy class one way is 30,000 miles but a better deal is the 50,000 for Business Class! It does come with $202 in taxes and fees but we looked up what Hainan was charging for the one way business class ticket and you're looking at over $3,000 all in. So what's better? 50K miles + $202 or spending over $3,000? I know which one I would choose. 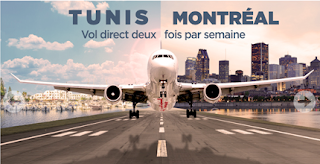 Air France KLM Flying Blue has released their latest promo awards (see link below in the bonus offers section) and only Montreal is included this time. You can save 25% on the regular amount of miles required for flying in Business Class this June and July.